Get ready for the ride of your life…especially if you choose to watch this stunning, visually spectacular movie in a IMAX Dome Theatre. Christopher Nolan has done it again…he truly has the ability to impress and strike awe in the eyes and minds of the audience. This thought-provoking and astonishing movie will rock you down to your very core. 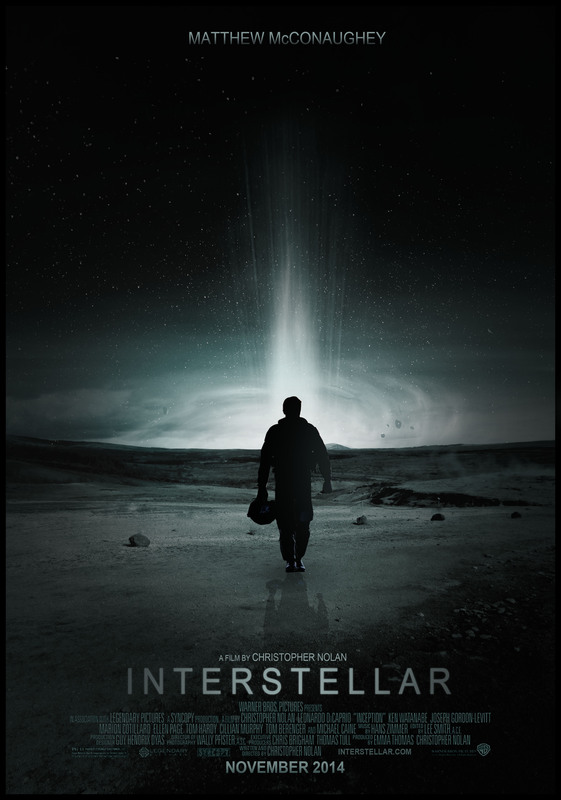 Interstellar exceeds even what you thought Nolan could bring to the screen to create a magical, transformative movie experience that, much like Kubrick’s 2001: A Space Odyssey, will compel you to continue thinking about the movie long after you left the auditorium. And that curious desire to know more is mostly because the physics and logic, within this visual masterpiece, are never fully explained, and many elements left vague, thus causing the intellectually based narrative’s reach to exceed even Nolan’s grasp. Filmmakers are masters of creating worlds of fantasy, mystery, and wonder; but it’s encumbered upon the directors and writers to explain the logic and science that exists within the fictitious world, and that is where this film fails and leaves the audience unfulfilled. Not taking place that far into our future, Interstellar is about a group of scientists and astronauts who have the responsibly to find another home for the human race, struggling to survive on a dying earth. Earth is struck with a plague of sorts that has ravaged the land, stripped it of nutrients, and covered it in dust. Corn is about the only crop left that can be grown but is slowly becoming extinct itself. Cooper (Matthew McCanaughey), a former NASA pilot turned farmer, is the father of two children whom he desperately wants to save from the dying earth. Contrary to what Cooper’s father-in-law warns him, he decides to join a secret mission to find a new home in another galaxy lead by NASA scientist Dr. Brand (Michael Caine). Joined by Dr. Brand’s equally intellectually brilliant daughter Dr. Brand (Anne Hathaway), Romilly (David Gyasi), Doyle (Wes Bentley), and the AI cyber soldier TARS, the five set off to places unknown. Leaving behind loved ones on a journey that will last for years, the intrepid explorers set forth for a wormhole that leads to another galaxy. With the possible exception of Gravity, there is not any other film that can compare with the visual spender and awe-inspiring cinematography and soundscape that Nolan brings to the screen in his cinematic masterpiece Interstellar. If you have the opportunity to watch it in an IMAX Theatre (in particular a Dome IMAX), you will benefit from an hour’s worth of footage shot with IMAX cameras that the regular (even 4K) theaters cannot fully showcase in all its wonder. However, if you watch it in an IMAX Dome, you will have to get used to the cuts between the “360” footage and the regular format; distracting at first, but soon you accept and even find excitement and amazement in the scenes that completely envelope the audience. Scored by Han Zimmer, the music is beautiful and terrifying all at the same time. The soundscape truly captures the emotions and breathtaking views in the movie. Enabling the audience to feel like they are in space with the astronauts, the absence of sound in many of the space scenes, creates a feeling of helplessness and fear. Combine the brilliant direction and score with the talented eye of cinematographer Hoyte Van Hoytema and the meticulous cuts of editor Lee Smith, and you truly have a work of art. Beyond the incredibly stunning visuals and breathtaking sound design lies an intellectually-based narrative that has so much potential but is never fully explained and follows no known logic–even within the realm of the movie itself. In many respects, the movie could be subtitled “The Suspension of Disbelief.” It is common knowledge that audiences have to employ the use of the “suspension of disbelief,” but the entire plot of a movie should not rely on the audience just accepting elements of the movie just for the sake of blindly making sense of the movie. I would love to have watched the movie with a theoretical physicists so I could have discussed the science and theory behind the plot of the movie. It would be quite difficult to discuss the shortfalls of the plot without giving away key elements and surprises in the movie, so I will not attempt to do so. However, there are definitely straw-man arguments and a reoccurring deus ex machina that serves to explain everything even though itself is never fully explained. As complicated as the plot was in Inception, it is more easily explained than many of the plot points in Interstellar. Essentially, Nolan has created a world in which you just accept the logic and scientific theories even though they do not make sense within the infrastructure of the movie. Your imagination will be blown away in this visual masterpiece that will provoke you to continue thinking about the plot of the movie long after the credits roll and you get into your car. Questions like how and why will be the ones generating post-movie conversations in the car with your friends. Debating the science and logic in the movie will likely prompt college professors to build entire lessons around the story. Maybe that is what Nolan was hoping for…creating curious minds and enticing new explorers to be the next great minds in our future. Or, it is entirely possible that he just wanted to tell a visually powerful story that rests on fabricated theoretic physics. Either way, you will thoroughly enjoy the movie–except for the whole “how does that make sense?” Despite the beautiful mess of science the movie exhibits, you may still want to go along with the high-impact edge-of-your-seat ride.